Are people living outside the metro areas cushioned against falling home prices? The U.S. Census Bureau provides us with a lot of interesting data about new homes in their Survey of Construction. Today we look at the sale prices of homes in regard to their location (i.e. 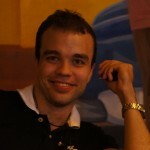 whether or not they are located in a Metropolitan Statistical Area). First, instead of looking at individual home prices, we’ll focus on price distribution instead. This is mainly due to the fact that home prices are influenced by a large number of factors, and we are not going to try to take them all into account here. As you can see in the figure below, the distributions of prices per square foot have roughly the same shape across all regions. In the next figure, you see the same shape again. 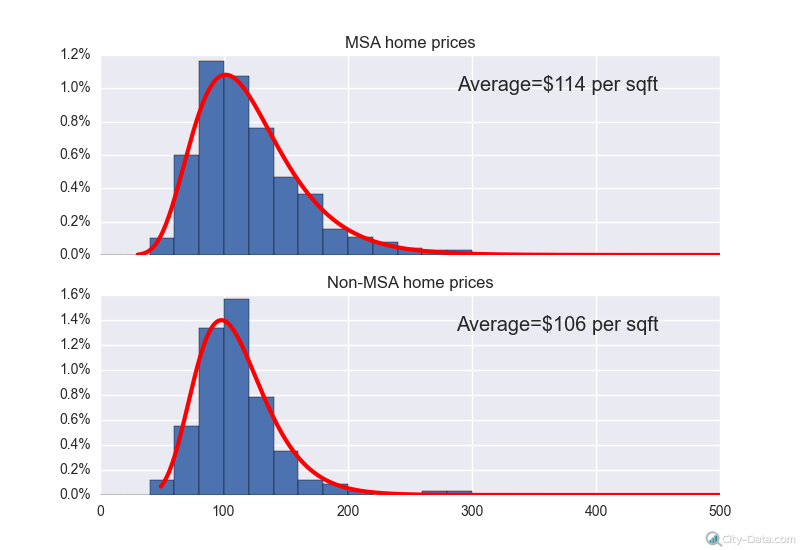 This figure compares prices between homes that are located inside and outside the MSAs. 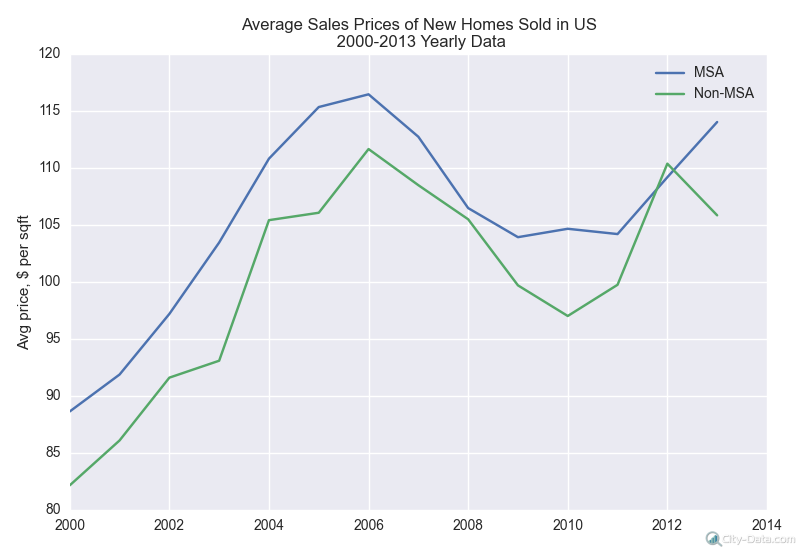 In this figure, you can see how the sale prices for MSA and non-MSA homes have changed throughout the past several years. As you can see, the spread between average prices stays roughly the same. The only exceptions are that non-MSA prices didn’t fall as quickly in 2008 and recovered somewhat faster in 2012. In conclusion, it seems that people living outside of metropolitan areas are more protected against sudden property price decreases.